There are many different types of leadership styles some are more effective than others, and we will be discussing a few in our new article. To know more about the ‘Different Types of Leadership Styles’, read on! How a team performs is ultimately down to the leader, some are lazier while others are stricter. Today we are discussing the different types of leadership styles and finding which one is the perfect leadership style. ‘Laissez-faire’ is French for ‘leave it alone’ and it’s exactly what these type of leaders do. They have no interest in the well-being of the employees, and if they are actually working.These leaders also fail to provide feedback on the task at hand, they simply ‘leave it alone’. This form of leadership can lead to low production and low work ethic as the employees would feel their efforts are useless. However, not all laissez-faire style leadership is uneffective, this leadership style would be perfect for a leader who knows that their team will get on with the task well, it requires a lot of trust to be able to simply leave a team to do a task. This is completely the opposite of the laissez-faire the style of leadership in the sense that the leaders do everything without the input of the employees. They possess all authority and impose their will on the employees; this makes it hard for any employee to challenge the leader. The production will probably be high as this form of leadership will create an atmosphere of fear. However, morale will severely decrease and retention rates will decrease as more and more people will choose to opt out of the project if the leader scares them. This form of leadership encourages communication between both the manager and the leader. However, the final decision ultimately falls on the leader. Employees get to make contributions and make conversation which increases morale as they feel they are a part of the decision-making process. When there is a change in the business, this leadership styles makes it easier for employees to accept the changes as they are involved in the process. This form of leadership is based on the performance of a certain person in the team, if someone performs well, they receive some sort of reward, and if someone underperforms, they receive a punishment. Essentially this is ultimately down to incentives. If other employees see that they get a reward for doing, well more and more employees strive to do better. The leader has all the power to condition the employees to do well through rewards and punishment. 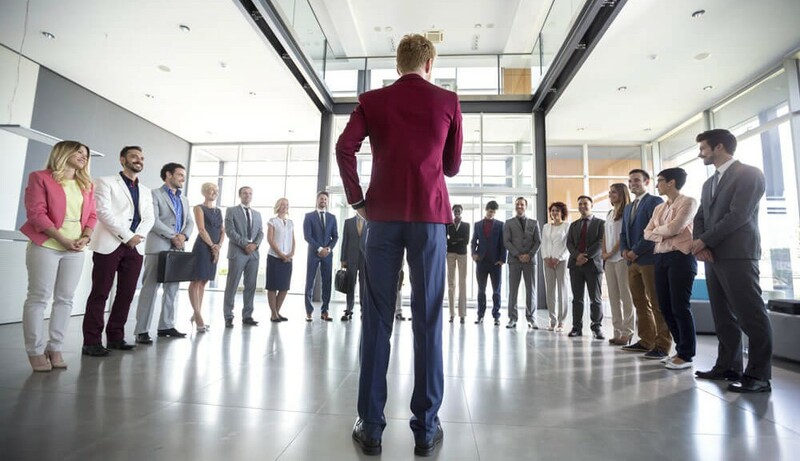 This form of leader strives to increase communication throughout the team and get them involved in as much of the decision making as possible. This leader motivates employees and aims to enhance productivity and efficiency through the use of communication and high visibility. The leader has one big goal and delegates smaller tasks to the employees, and all tasks delegated are all created to reach that big goal. This form of leadership will increase moral whilst simultaneously increasing productivity. It is clear that the best form of leadership style is transformational as both worth ethic and productivity are present. However, the type of team you have, the stage you are in and the project at hand determines what form of leadership style will be used. Here at Clarkson Builders, with whatever project we are doing in whatever area be it Milton Keynes or Buckingham, we always strive to use the best leaders to every project can have an amazing outcome!